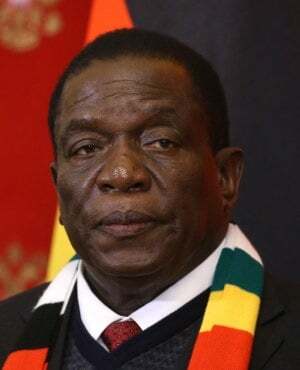 Early this week, his government budgeted RTGS$53m (about R238m at current exchange rates) as part payment for the estimated 4 500 white farmers who lost their farmland in the chaotic land reform programme in 2000. Critics, including EFF leader Julius Malema, have castigated Mnangagwa's decision to allow farmers to be compensated for farm improvements. Said Malema, “It’s a sellout position. The way he is going about it, he is not going to finish his term." But Mnangagwa said his government was simply following the country's constitution which provides for the compensation of improvements made on the farms and not on the land. The provision is contained in Zimbabwe's new constitution which was voted for by 95% of voters in 2013. Addressing the ruling party's Youth Assembly in Harare, Mnangagwa said, “In agriculture, the land reform is irreversible and Section 72 of the Constitution is very clear in this regard. However, the same Constitution provides that no compensation is payable in respect of its acquisition, except for improvements effected on the land before its acquisition. “For a long time Government has provided through the fiscus for such payments in respect of the said compensation on improvements of the land. Government will meet its obligation as outlined in the Constitution," he said. “For the avoidance of doubt, we fought for land and there is no way we will retract our position with regards to the land reform."